It's time to salute all that is good and great about British Aviation. 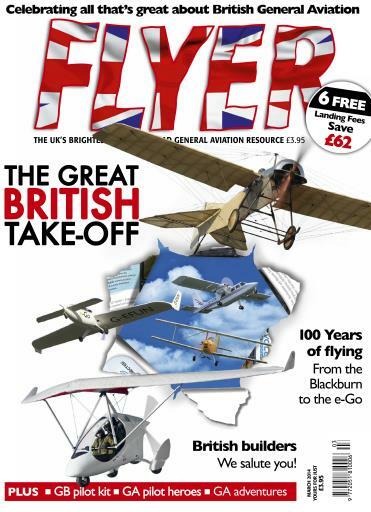 In this very special issue of FLYER, we look back at the last 100 years of GA in GB and trace the story from the Blackburn monoplane to the very latest British light aeroplane, the e-Go. There's an in-depth look at all the remaining British light aircraft manufacturers, including their thoughts on what the future holds. Plus here's our chance to salute some of those great heroes of British General Aviation. 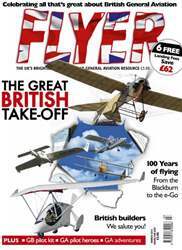 What's more, there's a tour of Britain - and beyond - in a classic Auster, an overview of some of the innovative and world leading aviation products still in production, and the latest columns from today's best GA writers, Paul Bonhomme, Dennis Kenyon and Ian Seager. All-in-all, this is a classic issue of the best GA magazine around.